Faccin designs and constructs special bending machines, widely used in the naval sector as benders for bulbs and profiles. The Faccin’s FB Ship Frame Bending Machine is an horizontal bender with a modern design specially designed for bending ship’s profiles. The FB is the ideal solution for every single or double bending need of HP bulbs, angle sections and T profiles. 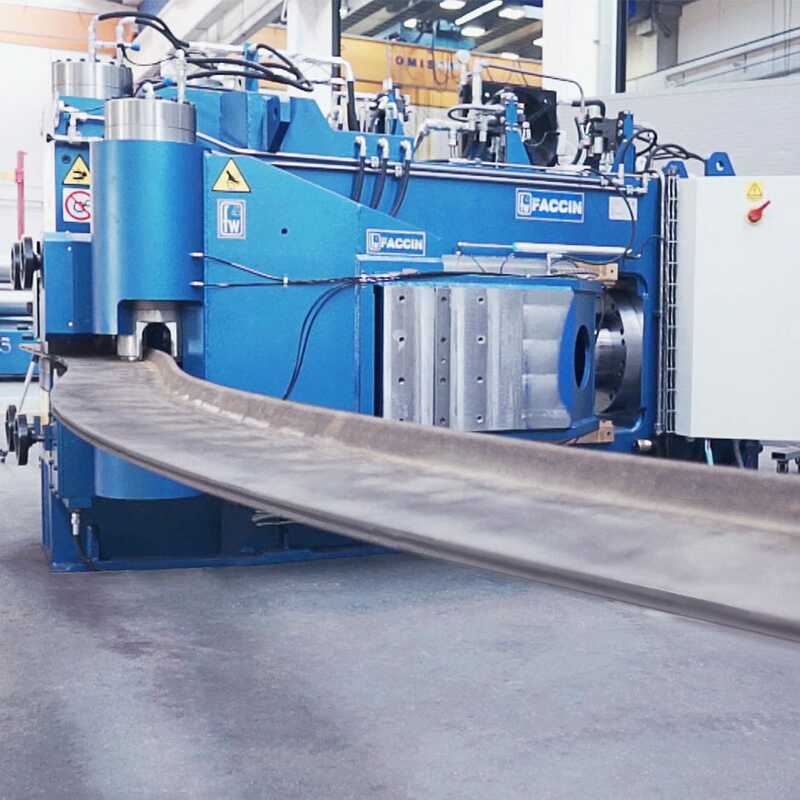 The FB are unique machines on the market, featuring Faccin’s authentic design that guarantee much higher productivity compared to the simple old style horizontal presses. 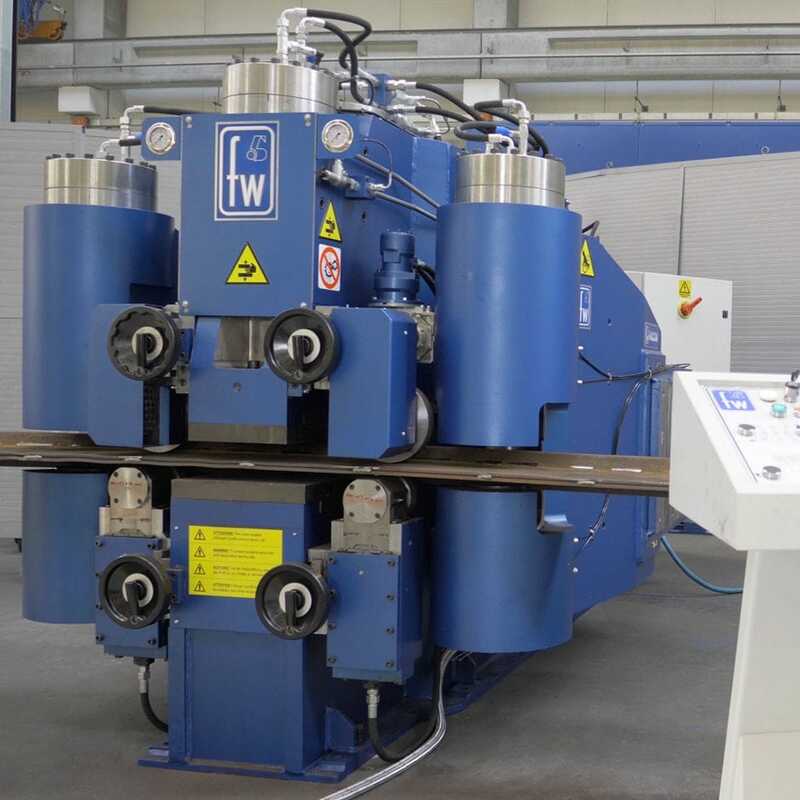 The FB Frame Bending Machine is bending the profiles in positive and negative direction by means of two side arms and a central clamping system to hold the profile. 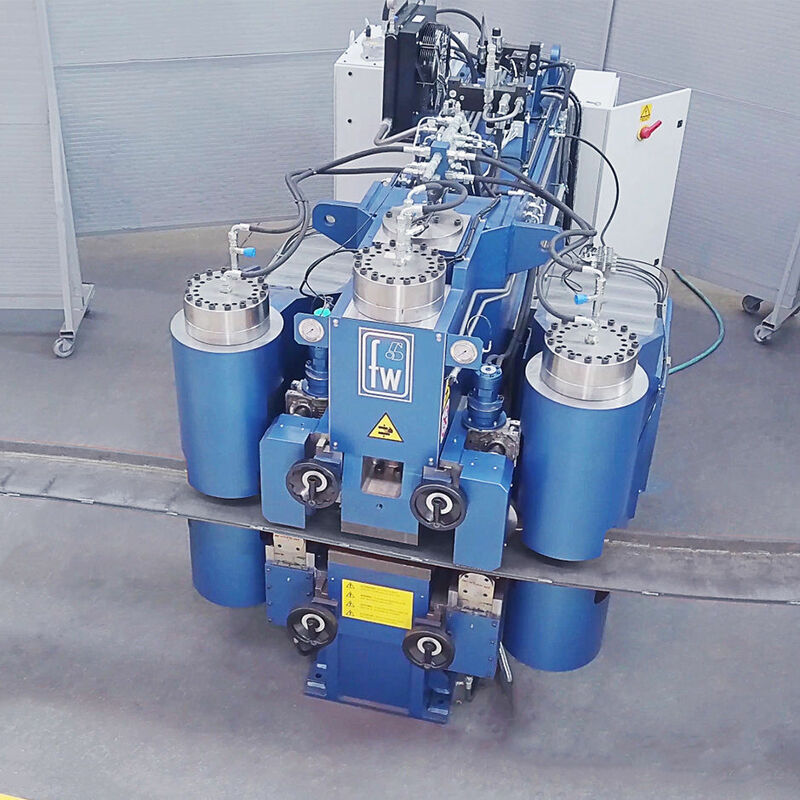 The high-speed movements for maximum efficiency of the bending process are guaranteed by a special design of the hydraulic unit. FB line Ship Frame Benders feature full automation of the complete process thanks to the optional numerical control units (CNC). 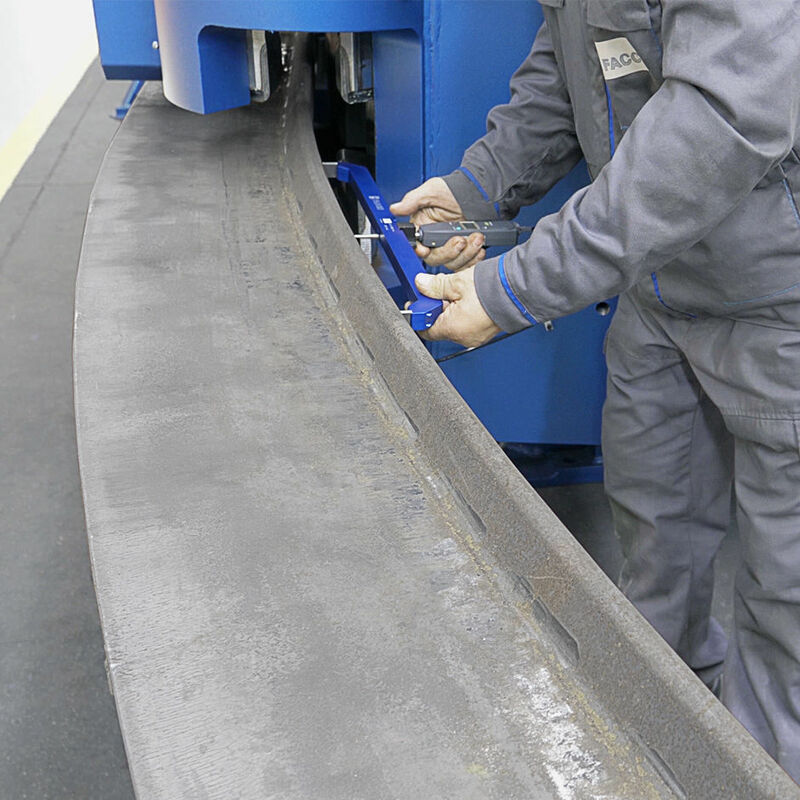 The CNC is handling automatically the feeding of the profile and the movements of the bending arms for the complete automatic and operator-free process. In addition, accessories are available upon request designed for the optimization of profile handling during the forming process.